In the existing field are listed research and reports which have been published from HAPSc. In the following publications Hellenic Association of Political Scientists referred to as an official publisher. Batakis, D., Zisis, K. (2017) “Malignant neoplasms in women. Course of mortality and incidence rates in European countries”. Hellenic Association of Political Scientists (HAPSc), April, 2017, Athens. Available here (in English). Krispis, A. (2016) “The Local Government in Greece a descriptive approach”. 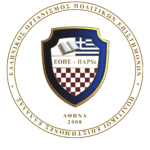 Hellenic Association of Political Scientists (HAPSc), February, 2016, Amaliada. Available here (in English). Dimitropoulos, V. (2016) “European Defence – The Perspectives of Permanent Structured Cooperation”. Hellenic Association of Political Scientists (HAPSc), March, 2016, Athens. Available here (in Greek). Sidiropoulos, S., Vozikis, A., Kritas, D., Fouskas. T. (2016) “Study of Health Politics that Implemente to the Patients of Refugee – Migrant Flows to Greece (Greek State – Organizations)”, Hellenic Association of Political Scientists (HAPSc), Laboratory for Health Economic and Management (LabHEM), September, 2016, Athens. Available here (in Greek).